Were you born and raised in Vermont? Click the link below to see the 14 Signs You Were Born and Raised in Vermont! My favorite is #5. Do you know what a creemee is and that its the best summer treat? Stoweflake Hot Air Balloon Festival! When: Fri., July 11, 4 p.m., Sat., July 12, 6:30 a.m. and Sun., July 13, 6:30 a.m.
Price: $10; free for kids 12 and under; $10 tethered rides; $275 balloon rides. Lift off! Things are looking up at the Stoweflake Hot Air Balloon Festival, where rides in eye-catching orbs offer thrill seekers adrenaline-fueled adventures and panoramic views of Vermont’s summertime glory. Dotting the horizon from sunrise to sunset, these buoyant beauties themselves add to the breathtaking scenery. Below these high-flying happenings, those with tamer tastes can take tethered rides. Not made for heights? Ground-level festivities at this soiree rival their airborne counterparts. A children’s corner provides age-appropriate fun for little ones, while parents keep the party going with live entertainment and a food, wine and beer garden. The sky is the limit. Do you LOVE Ben and Jerrys Ice Cream? 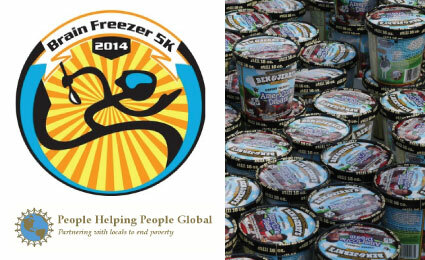 How would you like to run and enjoy a pint of Ben and Jerrys Ice Cream? Check out the Brain Freeze 5K that will be taking place this Saturday July 12th at 10am, starting from Battery Park...Click here as it is todays JumpOnIt deal! YES, Vermont made the list!!! We are ranked #2. Check out the article below in the link!